1/4″ 20 threads per inch is the thread size used on photo and video camera mounts and tripods. Your DSLR camera is having a 1/4″ thread female mount and your DSLR tripod is a 1/4″ thread male mount. Professional microphones (like those you see on stage at rock concerts 🙂 ) use 3/8″ and 5/8″ thread mounts. 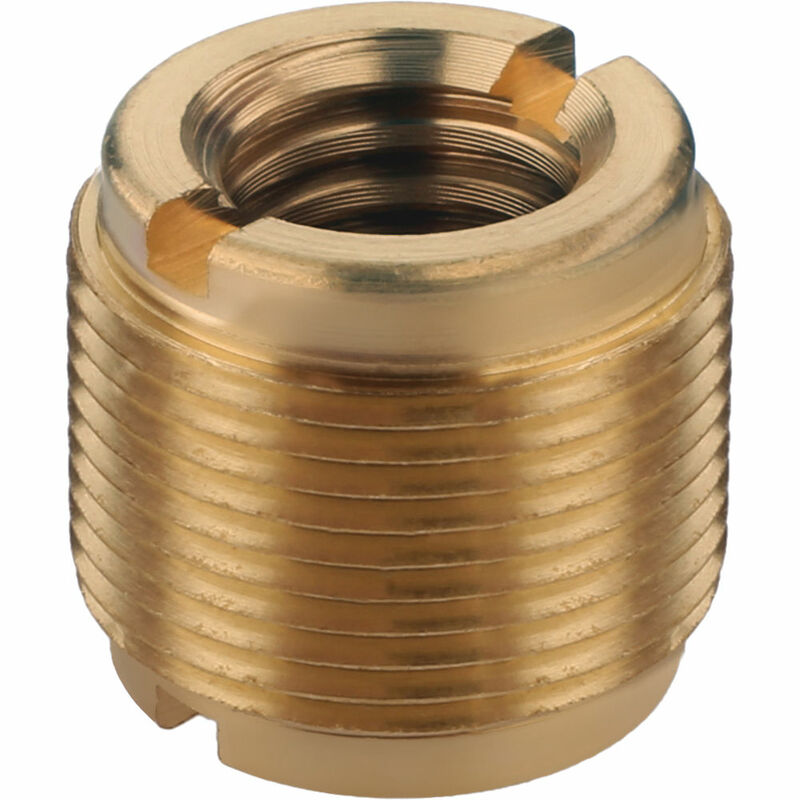 The 5/8″ 27 threads per inch mount is popular in USA, while the 3/8″ 16 threads per inch (55° flank angle) are more popular in Europe. For example, a usual zeppelin (blimp) shockmount would usually have a 3/8″ female mount. An usual stage microphone clip would have a 5/8″ female mount but they most of the time come with a simple to 3/8″ adapter or a double 3/8″ and 1/4″ adapter. Zoom recorders (like the popular Zoom H1) are different beasts. Since they are built for photo and video enthusiasts, they come with a 1/4″ thread. This way, they can be mounted directly on your photo tripod, without any adapter. I hope this crazy thread thing is more clear now for you. Empowered by all that noise around.